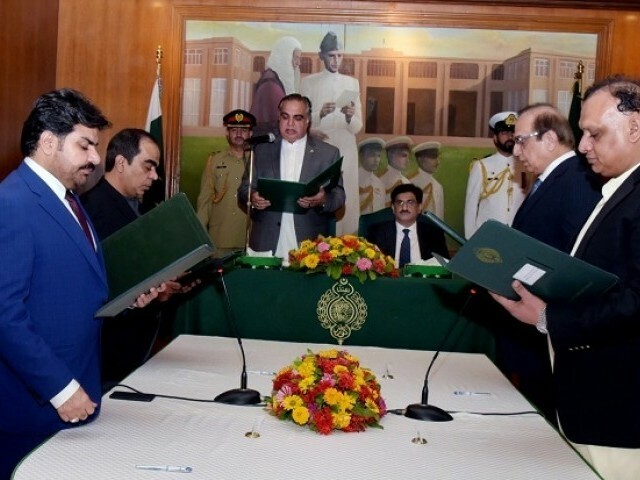 KARACHI: Four more ministers were added to the Sindh cabinet on Wednesday, bringing the total number of provincial cabinet’s members to 14 members. 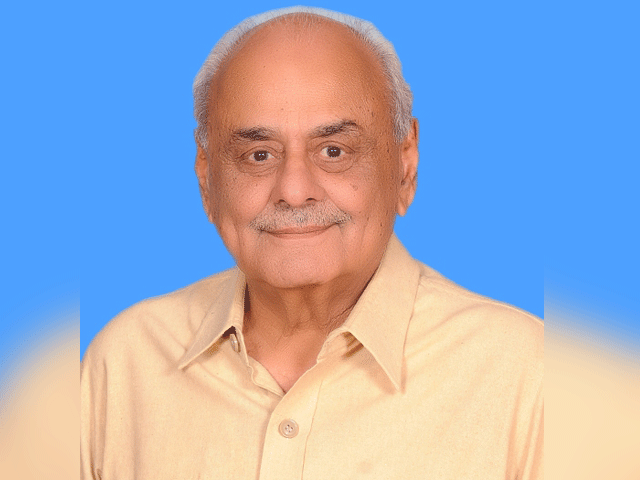 Imitaz Ahmed Shaikh, who won the general elections from Shikarpur, was given the energy ministry, Mukesh Kumar Chawla excise, taxation and narcotics, former information minister Syed Nasir Hussain Shah works and services while Faraz Dero was elected as the Auqaf, religious affairs, Zakat and Ushr minister. 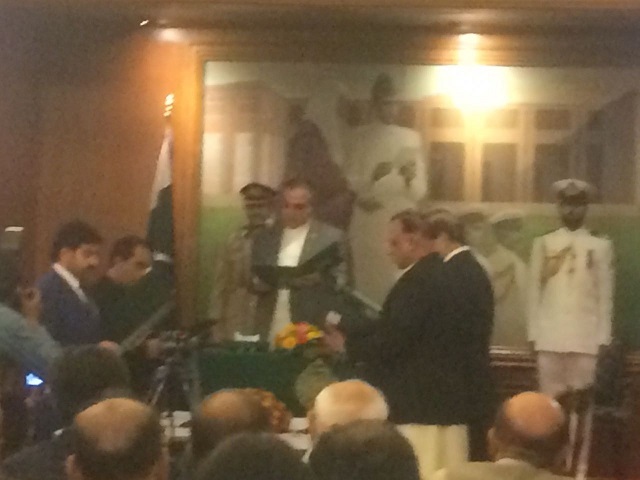 The Murad Ali Shah-led cabinet formed on on August 20 initially consisted of eight ministers and two advisers. 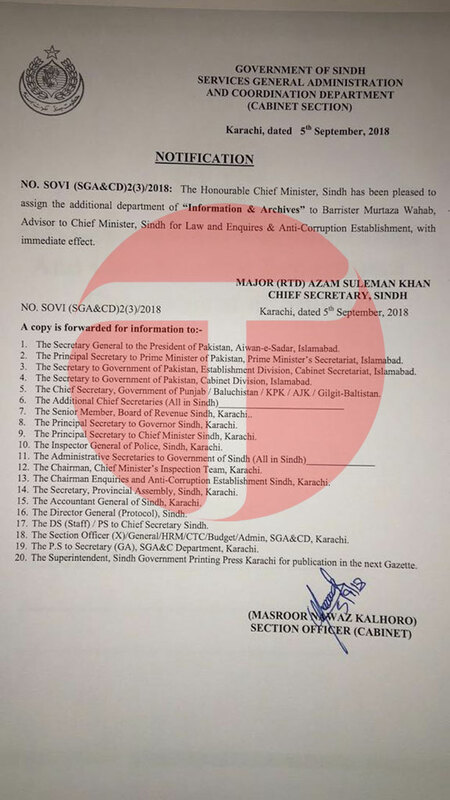 It included Dr Azra Fazal Pechuho, Saeed Ghani, Shehla Raza, Ismail Rahu, Hari Ram, Shabbir Bijarani, Syed Sardar ali Shah, Mahboobuz Zaman, Bux Mahar and Barrister Murtaza Wahab. 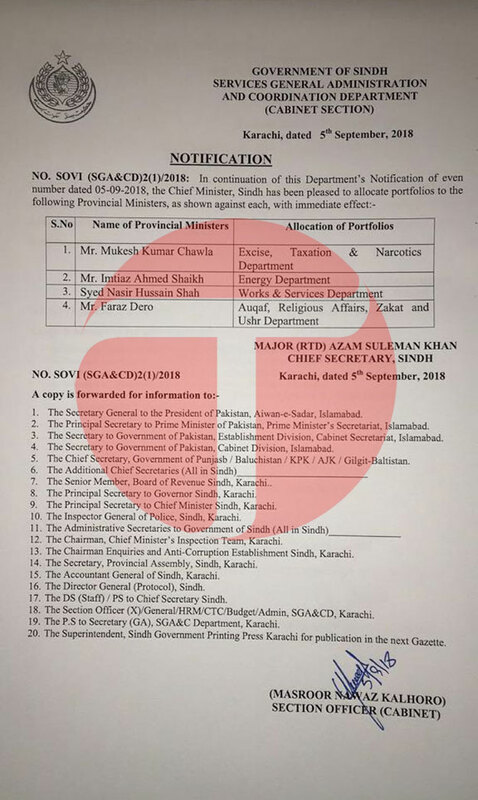 Sources privy to the development told The Express Tribune that more members will be added to the cabinet as consultation over candidate and portfolio is ongoing within the ruling PPP.